Kitty, please email lora at onecrazystamper dot com to claim your prize. 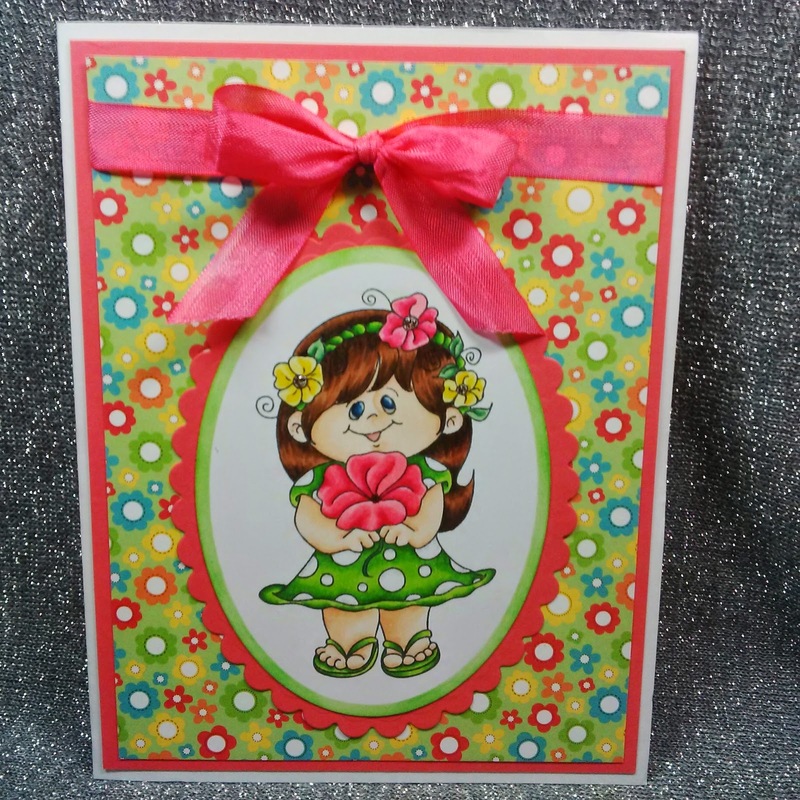 New High Hopes Image: Little Miss Springtime! This gorgeous image is from Saturated Canary and is entitled "Amber" and is available here. 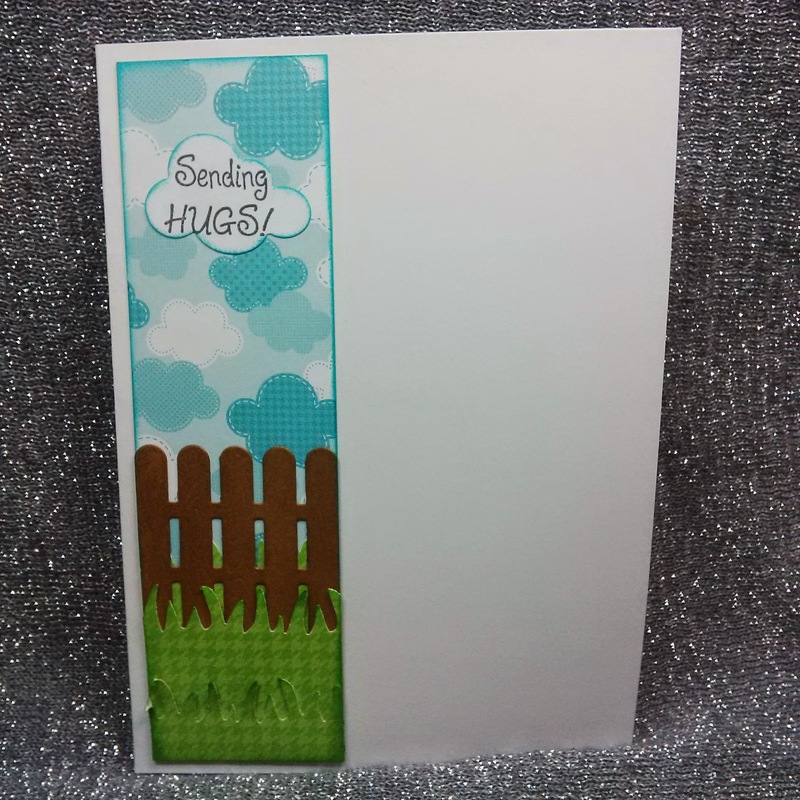 After coloring the image with Copics, I cut the image and the surrounding mats with Spellbinder dies, then mounted it on a card front featuring an older My Sentiments Exactly sentiment, ribbon, a Memory Box butterfly die and a Martha Stewart butterfly punch. Both of the butterflies were coated with two colors of Viva Décor Inka Gold ( Turquoise and Jade ) before they were adhered to the card front. You still have until tomorrow to enter this month's challenge here at One Crazy Stamper to win a fabulous prize package, and you should check out all the new pre-orders that are available at the store here. Wacky Wednesday is here again, and January is almost over. 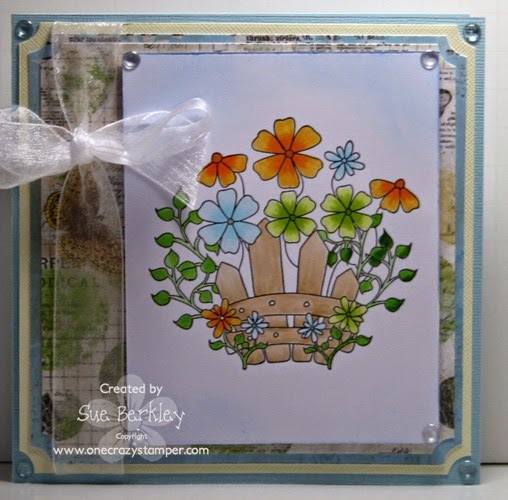 For my post today for OCS, I have used the Garden Fence stamp from High Hopes January release. I didn't add a sentiment at this time, as this card can be used for any occasion. 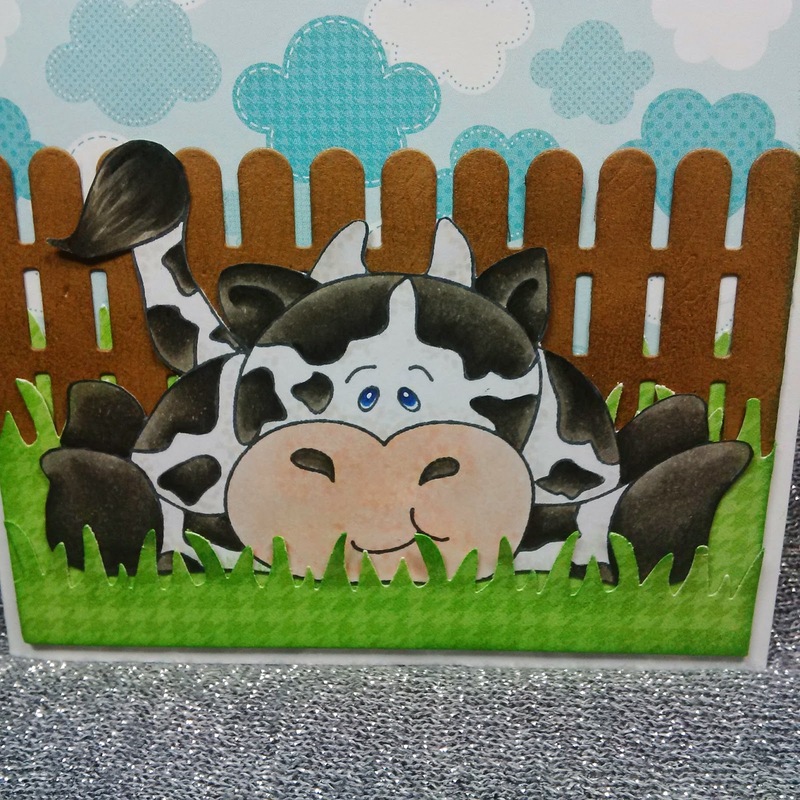 There are still a few more days to enter this month's challenge for a chance to win a 3 stamp High Hopes Prize Pack unmounted, from One Crazy Stamper. Don't forget to stop by on Sunday, February 1st to see what the new challenge at OCS will be. If you need any supplies, check out Lora's OCS store, for some amazing prices and new products that are arriving daily. Until the next time, keep crafting. Hey hey crafty peeps!! Today I've got a cute lil love bug to share with you, this wee bug was coloured with both prismacolor pencils and spectrum noir pencils. I then got all matchy matchy with Bo Bunny papers and embellies and red ribbon to match! Spectrum Noir Pencils-047, 058, 024, 027, 033, 009, 004, 120. Thanks for stopping our challenge here at One Crazy Stamper is almost wrapping up only a few more days to go and January will be over. Sure does fly by. Speaking of flying by these wonderful High Hopes Rubber Stamps that we've been showing you, their new release this month. Is our sponsor this month as well. Our challenge is Blue, White and an Embellishment. 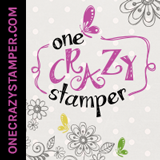 One Crazy Stamper would love for you play along, we have wonderful prizes as well. Also love Lora's store so pop over and check it out. My little friends are called Tea for Two, oops thought it was a sugar bowl, and well then I thought it was a cute with the blue to make them have a bath. I like how it was fun to color up. I do hope you stop by OCS and play along, till next time, happy crafting! I used the pattern paper from Authentique pack, and add some ribbon, and bow with my embellishment of a bell. Xpressit Copic Cardstock, High Hopes Rubber Stamps-Tea for Two, I popped the image up using 3D foam tape. I colored my little friends with copic markers-W00, W1, W2, W3, W4, W6, B99, B97, B93, B95, B91, E93. "Two" new High Hopes Images on one card!! 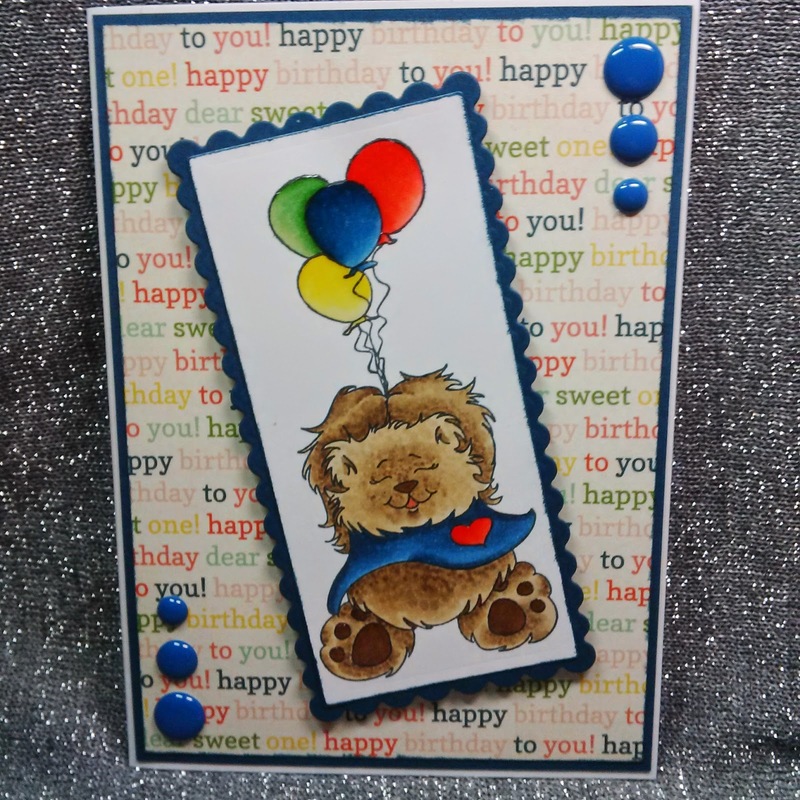 It's time again for me to show you one of the newest images from High Hopes stamps, and my card today is also a reminder of the challenge theme this month of Blue and White with an embellishment. Another week has gone by and January is almost over. The OCS Design Team has been busy colouring up a storm with the latest release of the High Hopes Rubber Stamps. 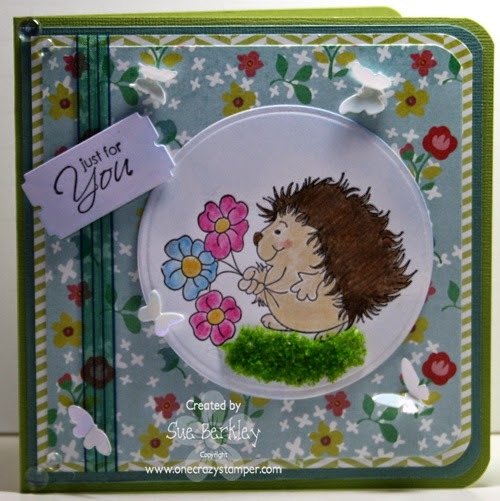 For my post today, I have used this adorable Hedgy has Flowers stamp. There is still time to enter this month's Blue, White and an Embellishment challenge, for a chance to win a prize pack from OCS. Check out Lora's OCS store for all the supplies that you need to finish your project. While you are at it, take a peak at all the pre-orders that are going up for new products that are being released. In the meantime, keep crafting and have fun. Hello peeps! 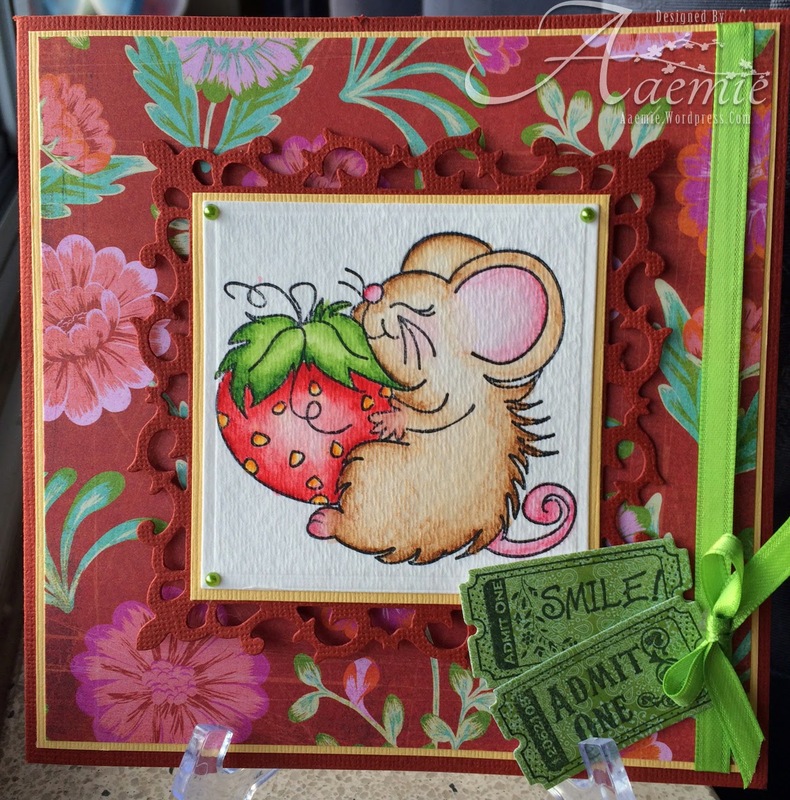 On this terrific Tuesday Im sharing a creation using Berry Nice, a cute stamp from the HH new release. I coloured this wee guy with derwent inktense pencils, added some ribbon with a bow, pearls and an old time fav my ticket stamps and die. 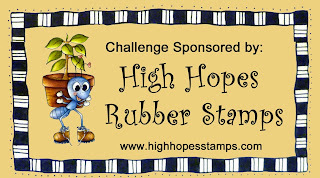 Hello, wow, these stamps from High Hopes Rubber Stamps are so awesome and are the sponsor for our January Challenge here at One Crazy Stamper, so awesome, please share the love and play in our challenge. Blue, White and an Embellishment. 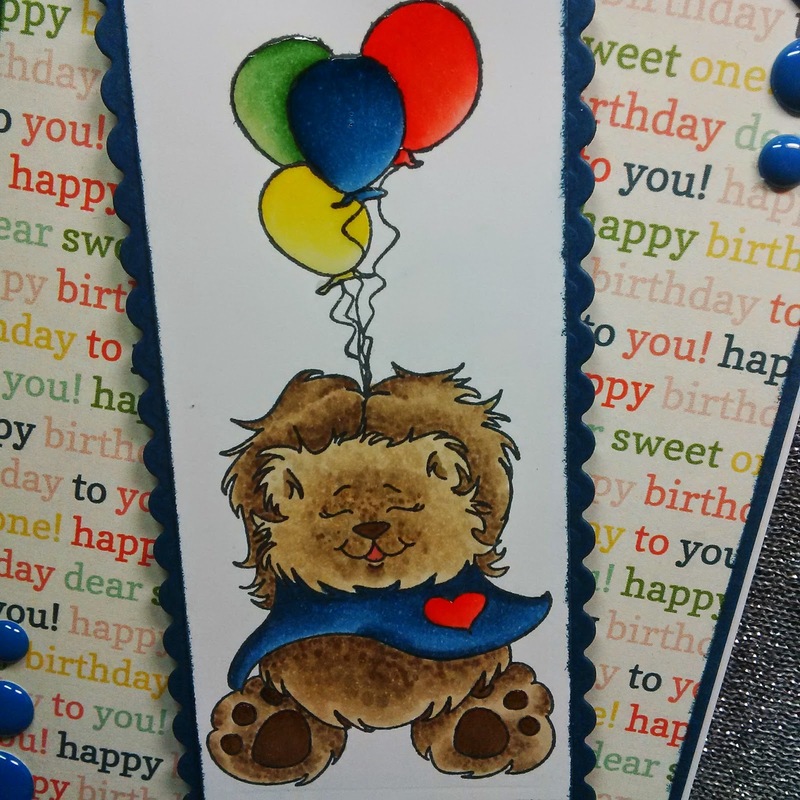 Which I had fun adding my little Moose to my card. 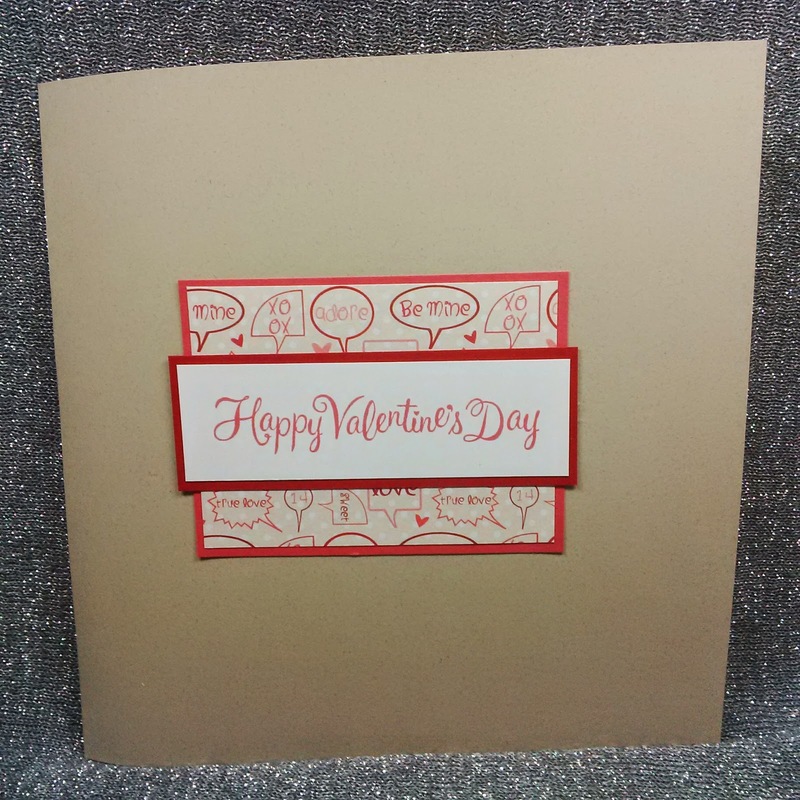 I used the paper from Carta Bella Warm and Cozy so fun this paper. I added some twine as well some glue dots and foam tape to pop up the image. Which I colored him using my copic markers. New High Hopes "Takin' A Break"
Hello and Happy Friday!! I hope that you have had a great week and have kept warm in this deep freeze we have been having!!!?? I hope that you enjoyed today's post, I would love to hear your thoughts. Labels: Carta Bella, Copic Sketch Markers, Copic Xpress It Card Stock, Distress Inks, High Hopes Rubber Stamps, Shari G.
For today's One Crazy Stamper post I have colored up the adorable image Berry Nice from High Hopes Stamps with my Copic Sketch markers, then added white highlights to the mouse nose with a Sakura white pen, and covered the strawberry with Judikins Diamond Glaze for shine. It is Wednesday, which is also hump day -- can't wait for some warmer weather on the weekend as it has certainly been cold. 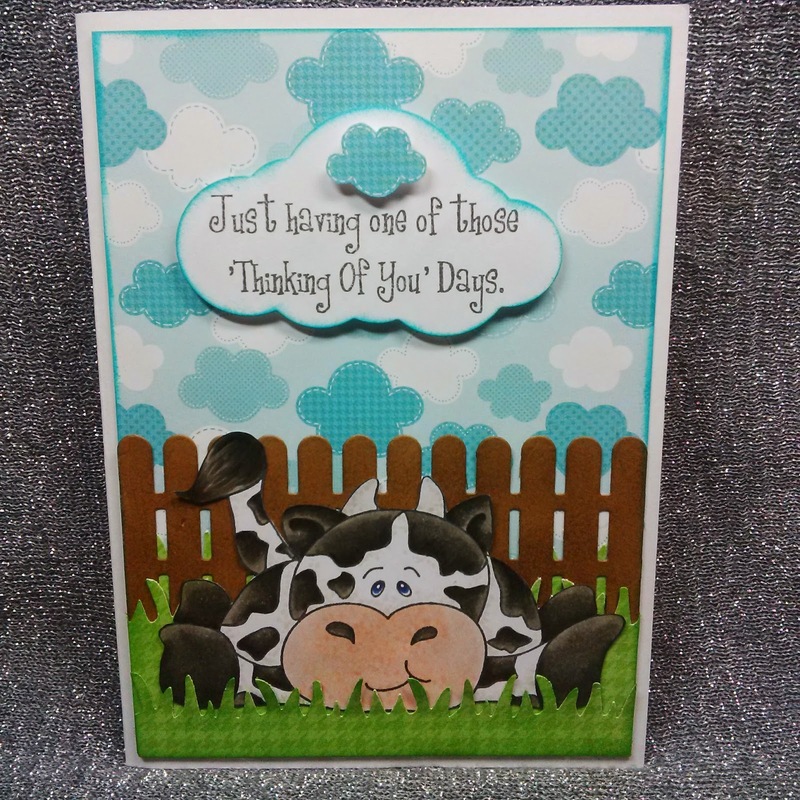 The OCS DT have been showing the new release for High Hopes Rubber Stamps. I used the Derwent Inktense Pencils to colour it. As I couldn't decide on a sentiment to use, I decided to go without one. 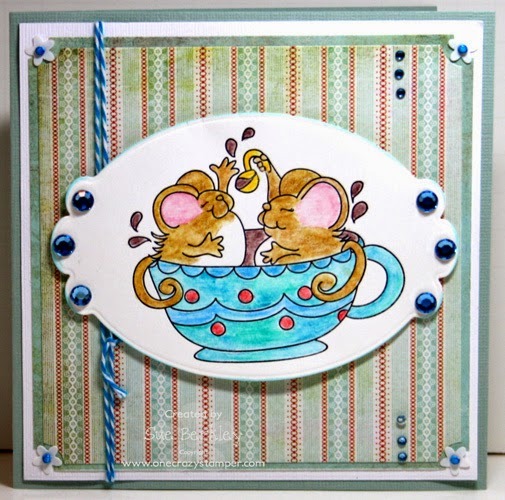 For my post today, I have used this adorable image called Tea for Two. 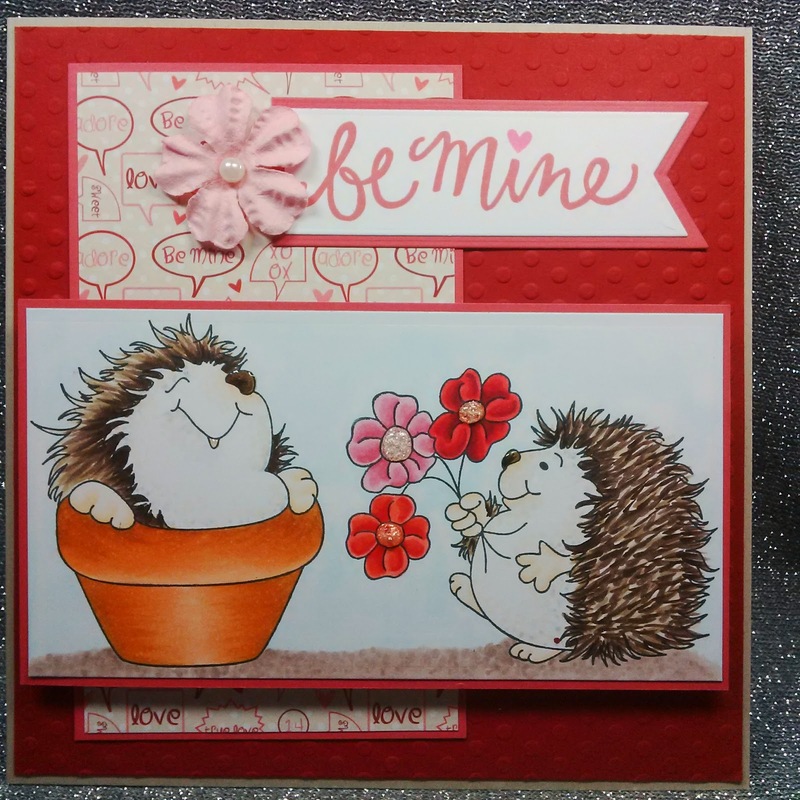 There is still plenty of time to enter this month's challenge to win a prize pack of High Hopes Stamps. If you need any supplies for your entry, check out Lora's store, OCS for some great products and amazing prices. Until the next time, get your creative juices flowing and have some fun. Hey friends! Are you all enjoying all the new HH release images?? Today I'm using My Best Friend, and coloured it with my prismacolor pencils. 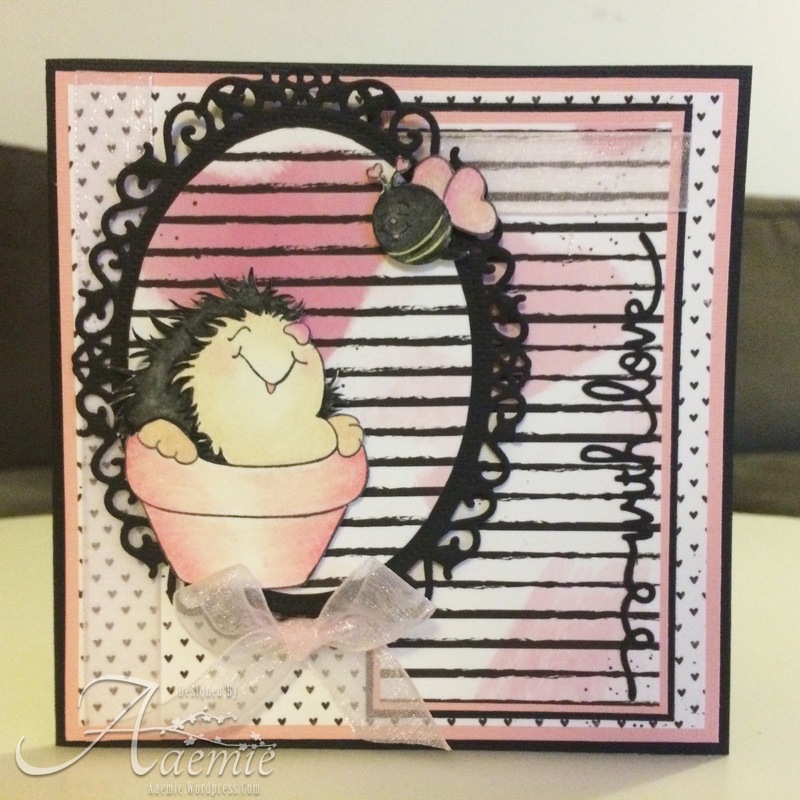 I also used a spellbinders sentiment die and added some sheer pink ribbon. Go get crafting and create something to join our monthly challenge! Have a great day! 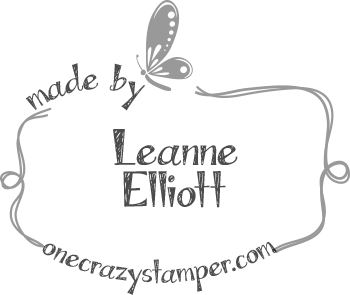 Thanks friends for stopping by to see what I am creating for the challenge blog here at One Crazy Stamper. Our month long challenge is Blue, White and an embellishment. 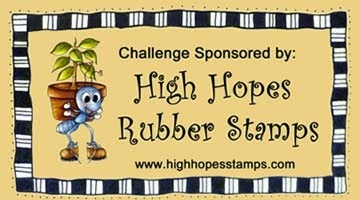 What fun, with our sponsor this month is none other than the wonderful High High Rubber Stamps. 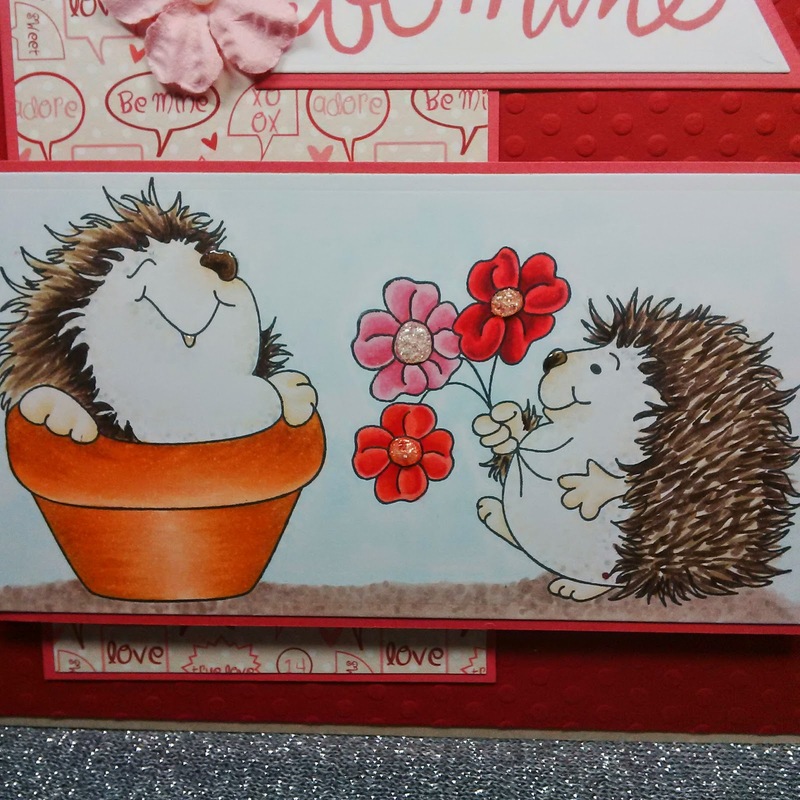 We sure hope you get a chance to check out these wonderful stamps and have a chance to play our challenge this month. 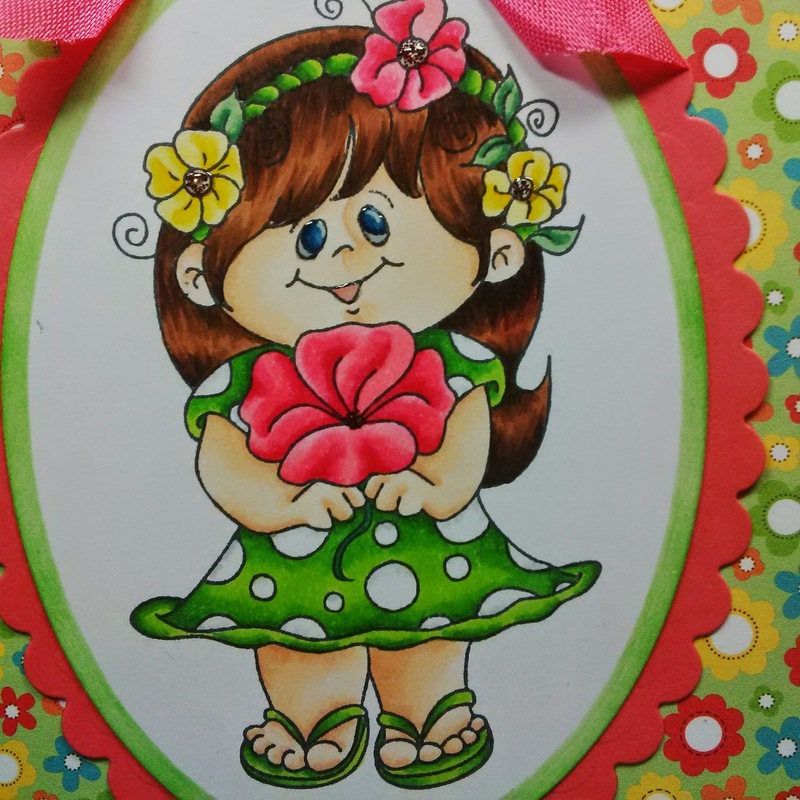 My cute image was so fun to color up using my copic markers and then adding some pearls for my embellishment, just a little bling sure does add some spark to my card. 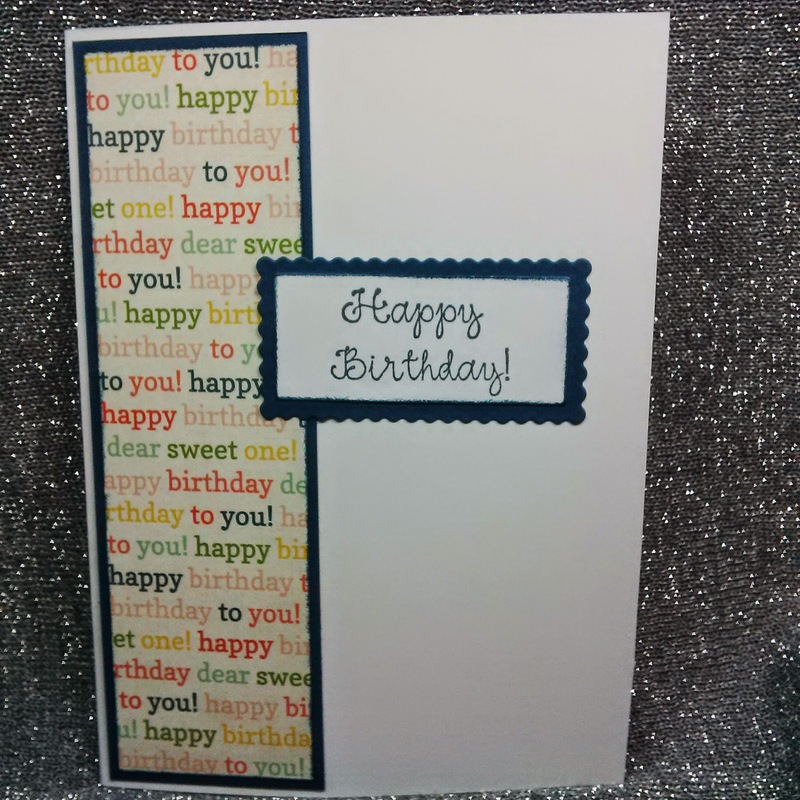 I love using foam tape or 3D foam squares to help with adding depth to my cards. Then using spellbinders and cut my image and popped it up. Thanks again for stopping and please pop over to OCS and share the love. Also if you are in need of some supplies, Lora has a wonderful array of stock. Till next time, I hope you get into your craft room and create. I hope that you enjoyed today's post and will enter your own creation into this month challenge! Also all the new High Hopes images are available for purchase, just click here to check them out!